Welcome to the Island Sailing Store! All sorts of good sailing stuff. 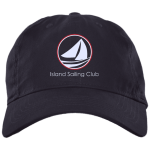 We've selected items (whether branded, books or gear) that we believe useful or fun for sailors. Certainly let us know if you have other ideas, recommendations, etc...! We're always looking for input and information. Give the gift of sailing to friends and family. An ever growing selection of clothing & "stuff". Recommended and tested gear for sailors. A few recommendations for your sailing "library".